As I stared heavenwards and screwed up my eyes to focus on a few wispy white streaks in the inky night sky, I really wasn’t sure what I saw seeing. Sure, they pulsated and moved, but was this really Aurora Borealis, the natural light show that twirls and dances across the skies of the Northern Hemisphere in the depths of winter? 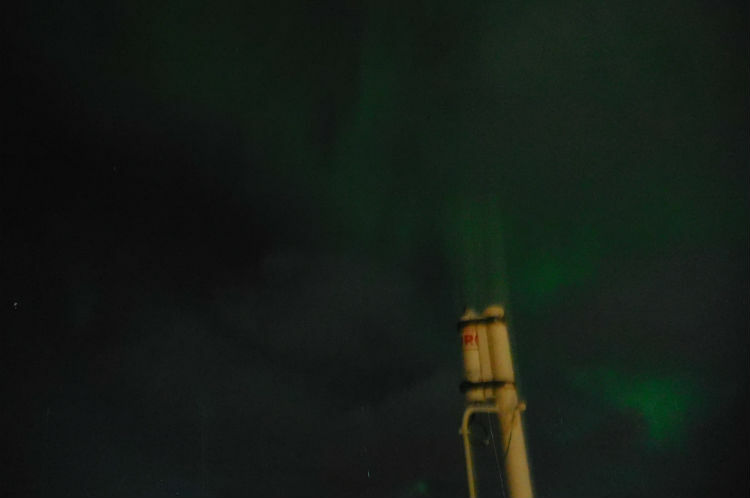 I’d slammed down my drink, abandoned my comfy chair and rushed out into the bitterly cold night, along with everyone else, to catch a glimpse of this natural wonder after being alerted by an announcement from the bridge of our Viking Cruises’ ship that it was swirling through the stratosphere above us. Cameras and phones were held aloft as everyone strained to get the perfect shot, and it was only when we gazed excitedly at the resultant images that the green hues of these silvery slithers became evident. 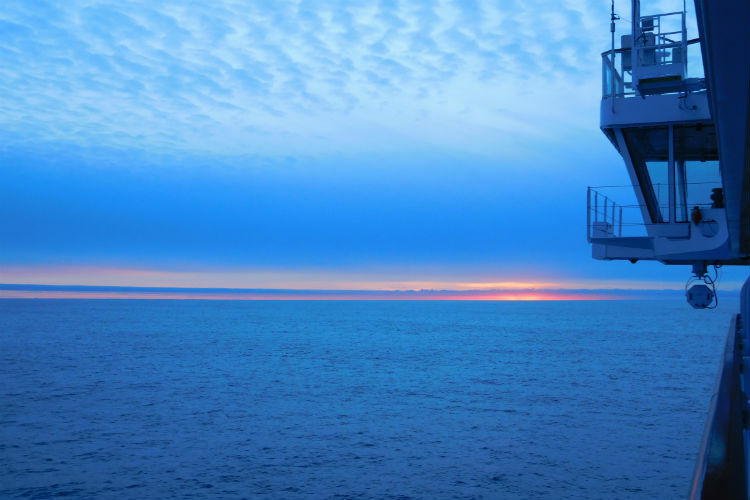 So yes, I saw the Northern Lights, but that was as good as it got during our 12-night Tilbury to Bergen sailing on Viking Sky that followed the Norwegian coast high into the Arctic Circle. Cloudy skies and lacklustre showings on other evenings came nowhere near to meeting my expectations, based on images I’d seen of the vivid emerald and pink spectacle – but it really didn’t matter. 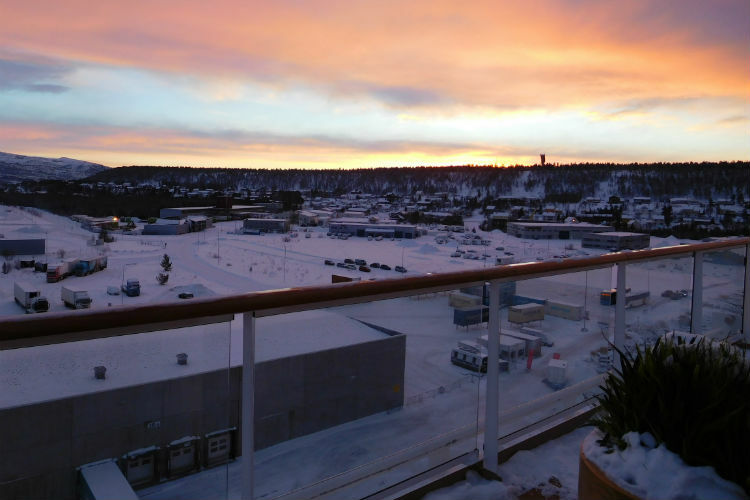 Aurora Borealis may have been the reason for choosing this voyage, especially as it was the first of Viking’s debut programme of Northern Lights sailings which started in January, but this quickly became more of a side-show. In my mind, it was the spectacular scenery and exciting adventures which took centre-stage and it opened my eyes to Norway’s tremendous winter appeal. With its long nights and whisper-thin daylight hours, I’d dismissed the region as a summer-only spot best experienced when bathed in the long glowing rays of the Midnight Sun. Admittedly, with dawn not breaking until around 10.30am and dusk descending two or three hours later, it took some getting used to. But the long twilight spell before true darkness fell amid the snowy backdrop made for the most romantically festive setting. 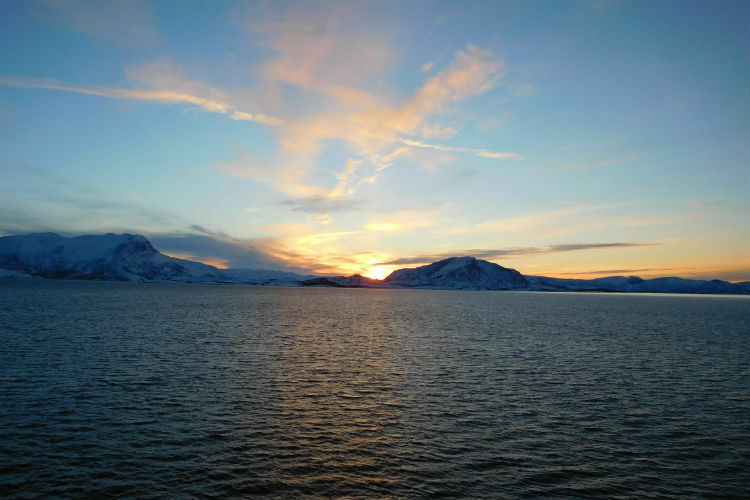 And while this may be one of the most remote and inhospitable regions on earth, Viking Sky proved to be an ideal upmarket retreat from which to explore it. 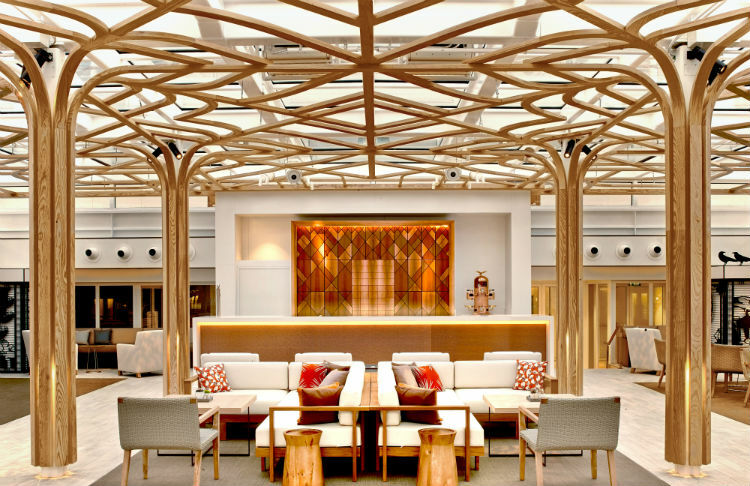 This 930-passenger, all-balcony ship was a byword for Scandi-style chic, reflecting the company’s Norse heritage with ribbed ceilings, pale woods and integrated metalwork inspired by the original Viking vessels. Airy, light interiors naturally flowed into each other. It felt refined and elegant, yet cosy too with a casual reception area, called The Living Room, where scattered sofas and squashy chairs were a focal point to take coffee, surf the complimentary internet and browse books from the on-board library. The Wintergarden, with its lattice-ceiling and tree-like columns was the place for dainty afternoon tea each afternoon, though I was careful not to spoil my appetite for dinner, especially as there was no supplementary charge for speciality restaurants – Manfredi’s and Chef’s Table, where I relished an outstanding tasting menu of Norwegian cuisine. 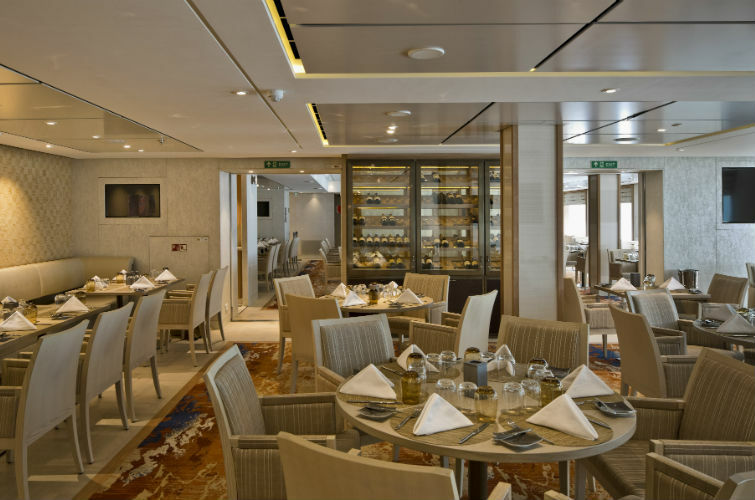 The main dining spot, called The Restaurant, also stood out for its impressive choice of classic dishes and specialities – accompanied by tip-top service, inherent throughout the ship. 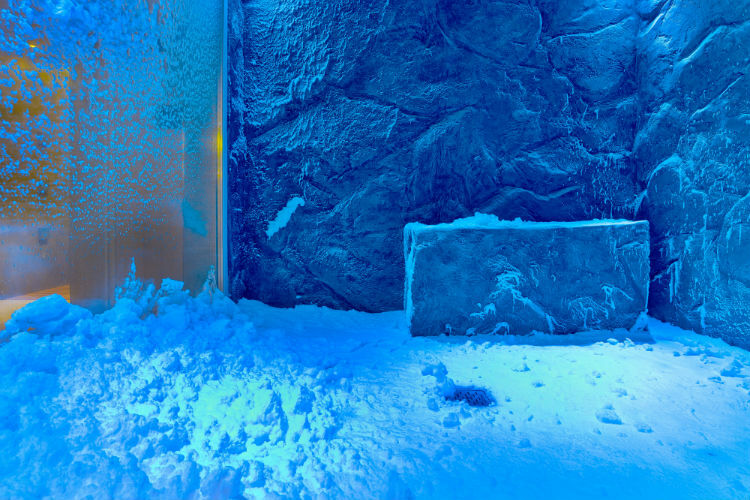 Another on-board treat was the spa – an opulent sanctuary with a steam room, thalassotherapy pool and wonderfully-novel Snow Room filled with fluffy white flakes. And, even better, it was all free of charge. 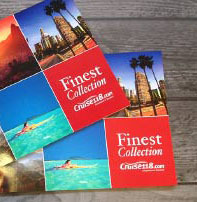 Other inclusions, such as wine with meals and a complimentary tour at each port stop, had clearly been inspired by Viking’s river cruise operation where such benefits are part and parcel of each sailing. Another luxury which I’d completely underestimated was the heated floor of my slick ensuite shower-room. This was another feature taken from Viking’s “Longship” river vessels and proved to be so cosy that on returning rather chilled through from one excursion, I couldn’t resist lying on the floor to warm up and ended up dozing off! 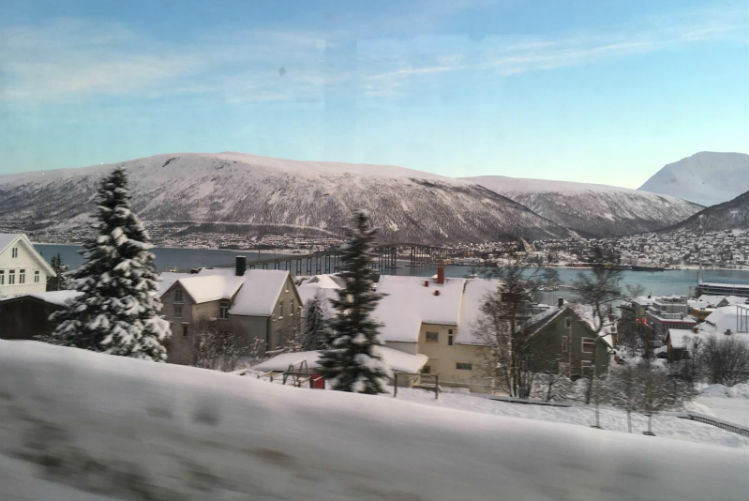 Highlights of this voyage were the overnight stops at the pretty Arctic town of Tromso, whose cluster of snowy streets could have jumped off any Christmas card, and the far northern town of Alta, which opened the door to a wintry world of adventures. 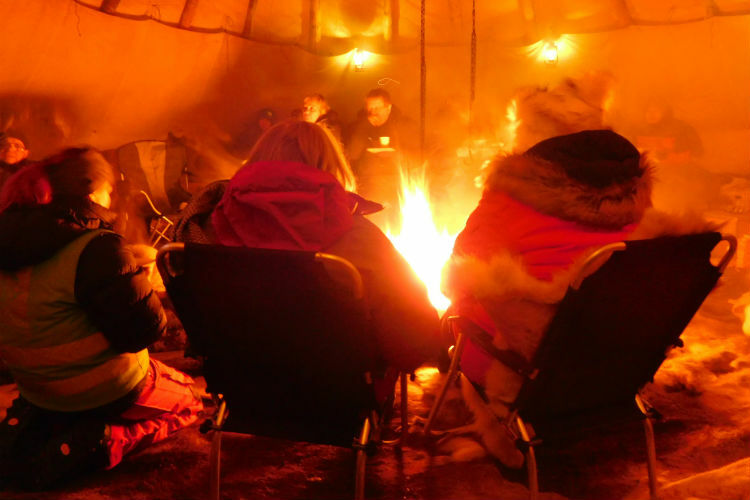 Guests could speed off on snowmobile safaris to an ice hotel, and even stay overnight, or explore the Norwegian tundra by husky sled and spend the night at a husky camp in a tipi. 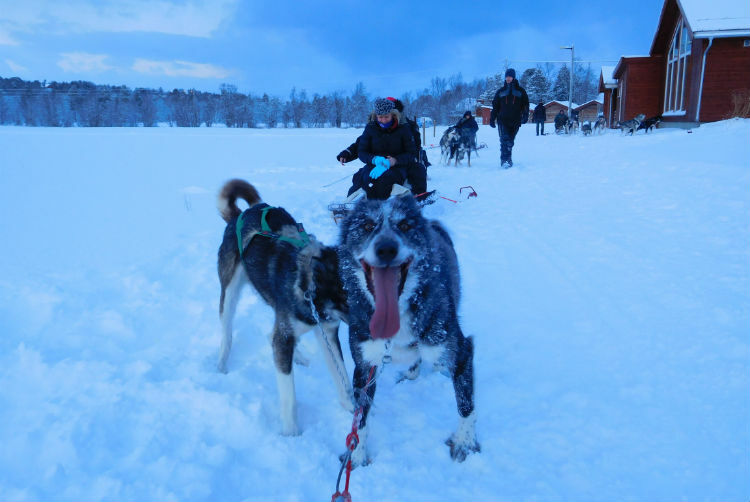 Nordic skiing, reindeer sledding and a visit to a Sami camp were some of the other unforgettable thrills, though with prices ranging from $79 to nearly $600, deep pockets were called for. 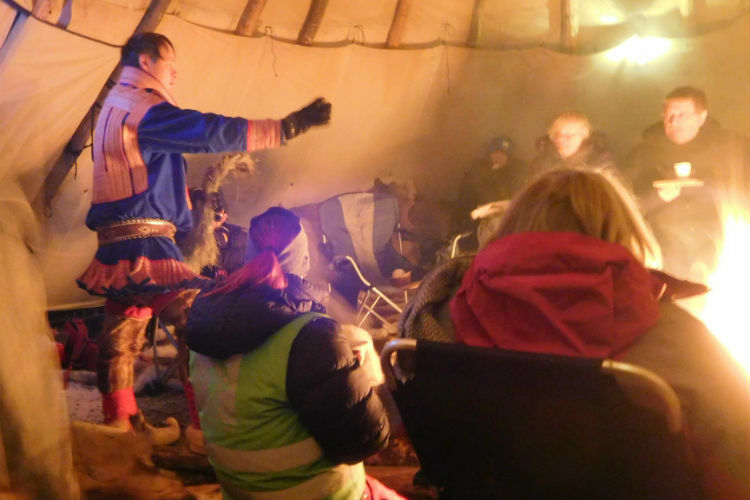 Yet such bucket list wonders were difficult to turn down, which is why I found myself at a Sami village deep in the wilderness where I huddled under blankets and animal pelts on a Santa-type sleigh as reindeer led us on a moonlit ride across the gleaming ivory landscape. 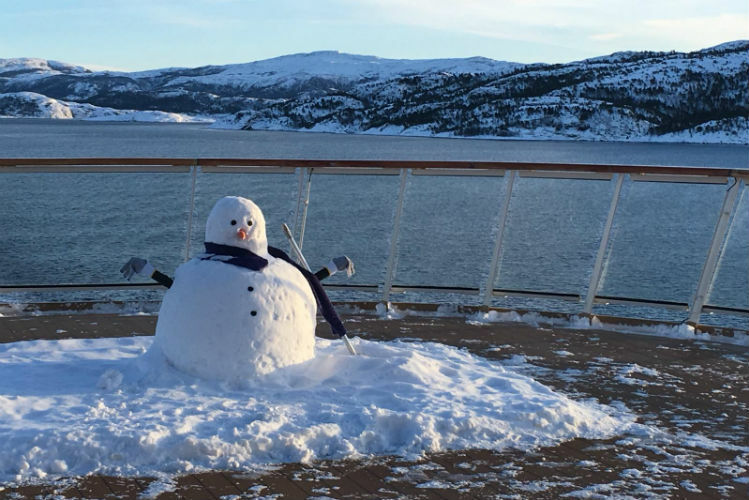 It was one of the cruise’s most magical moments, but at a teeth-chattering -32 degrees Celsius it was one of the coldest too. 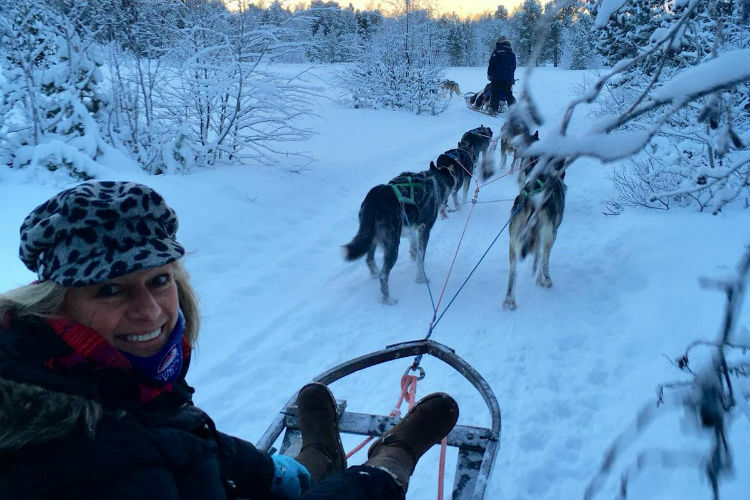 However, the husky dog-sledding adventure won my vote – and my heart – with the chance to meet exuberant four-legged friends, before climbing into a sled they pulled boisterously through an archetypal winter wonderland as the sun’s first rays of the day crept over the horizon. With so many memorable high points ticked off, I was totally unfazed by the Northern Lights’ less than illuminating displays. After all, it gives me the perfect excuse to go back. If you would like to set sail to Norway or experience a Viking Ocean sailing just like Sara, click the buttons below and take a look for yourself. 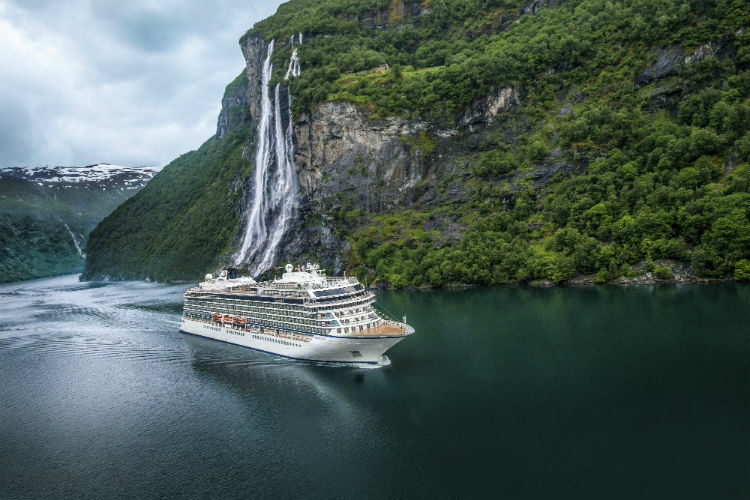 For any questions or help to make a booking, call our Cruise Concierge team on 0808 202 6105 for expert advice with Viking Ocean and award-winning customer service with your booking.